Showing results by narrator "Kim Alexander"
Today a romantic fantasy of Old New York with author Helene Wecker and her novel, The Golem and the Jinni. Next, Maggie Linton talks with Chris Columbus, who moves from the screen to the page with his new young adult novel House of Secrets. And no one brought Greek mythology to life like Edith Hamilton. Now her classic text has been adapted for audiobooks, and we’ll listen in on the gods and goddesses of Olympus in Mythology. But first, Maggie has the top-ten Young Adult downloads from audible.com. I think I speak for all of us when I say April was not the greatest month ever. There was a lot of news, a lot of it bad. So no one is sad to close the books. But of course we had some excellent audiobooks and great conversations with authors to see us through. So let’s take a look at our favorites for the month of April. Today, worlds will collide as Chris Cleve’s Little Bee brings third world strife into a London living room through the eyes of two unforgettable women. Today we’ll take another look at the best of the blustery month of March with a rousing space opera with James S. A. Corey’s stunning novel, Leviathan Wakes. Next, Maggie Linton meets Kate Morton whose new novel The Secret Keeper not surprisingly reveals some long buried secrets. May came and went pretty quickly, but we did squeeze in some very interesting conversation with some great writers, and even had a little Hollywood starpower on board. 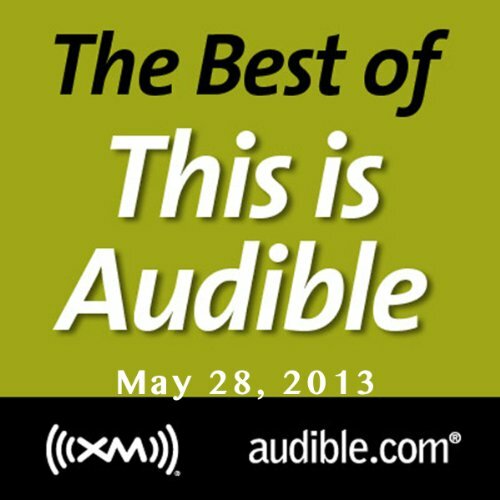 So here’s the best of May at This is Audible. We’ll take a trip across the country with some less than four star accommodations. Christina Baker Kline takes us along for the ride with her new book, Orphan Train. It’s the end of June so let’s take stock and listen to some of our favorite conversations from this past month. Today we’ll meet someone who is already a star both on Broadway and on the small screen. Raul Esparza makes his mark as the narrator of Stephen King’s Under the Dome. Maggie Linton sits down to chat with bestseller Mary Higgins Clark about her 32nd novel…Daddy’s Gone A Hunting. And one of our favorite thriller writers, Brad Meltzer, put together a book of inspiring stories for his new child – he calls it Heroes for My Son and we’ll listen in. But first, Maggie has the top-ten downloads for June from audible.com. A real treat for listeners today, as I sit down with Karen Kondazian, author of the award winning book The Whip, a novel of the old west - plus a chat with actress Robin Weigart, who brings the audiobook to life. Maggie talks with Josh Hanagarne, who dubs himself - and his book - The World’s Strongest Librarian. 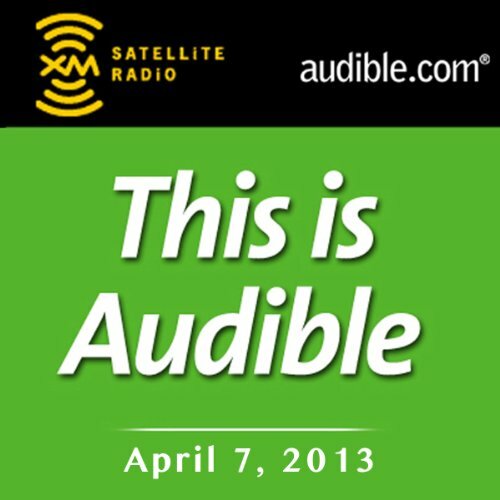 I demand my This Is Audible! Today we’ll meet someone who is already a star both on Broadway and on the small screen. Raul Esparza makes his mark as the narrator of Stephen King’s Under the Dome. Next, Maggie Linton sits down to chat with bestseller Mary Higgins Clark about her 32nd novel…Daddy’s Gone A Hunting. And comedian Ross Matthews reveals his innermost secrets in his new memoir, Man Up!. But first, Maggie has the top-ten history downloads from Audible.com. Today we’ll get motivated, get off the couch, and set down the cheese with coach Jillian Michaels and her book, Slim for Life. Maggie Linton talks with Michael Pollan about his latest take on what we put in our mouths, his new book is called Cooked. And we’ll hear from the recently exonerated Amanda Knox, who is most likely not taking her book tour to Italy. Her new memoir is called Waiting to be Heard. But first Maggie has the top-ten Non-Fiction downloads from audible.com. It’s Christmas in June as Joe Hill rolls up in his shiny new novel, NOS4ATU – that’s a license plate and a clue to this deliciously evil story. Maggie Linton talks with the product of an animal obsessed family, Clare Balding. Her book is called My Animal and Other Family. Welcome to the hot zone, nothing better than a cool couple of audiobooks to keep things comfortable. Today we’ll talk with Helen Bryan about faith, art, and the Spanish Inquisition – I’ll wait as you provide your own punch-line. Her lovely novel is called The Sisterhood. Next, Maggie Linton talks with Invisible Girls author Sarah Thebarge about the power of connection and finding love in unexpected places. Look, I’m a bartender. I have nothing to do with the xenos. I don’t care if it’s an elf or a vampire - as long as they don’t bother me, I steer clear. I have my reasons - you can see them in the scars on my neck. I never wanted to get involved. But my life changed for the second time when I saved the life of a unicorn. I made an enemy of something old - old and evil, and whatever it was, it’ll be back for another try. A delightful urban fantasy with heart and humor! Today a trip across the country with some less than four star accommodations. Christina Baker Kline takes us along for the ride with her new book, Orphan Train. In an interconnected world, why are some things stickier than others? Maggie Linton talks with Professor Jonah Berger about his work, Contagious: Why Things Catch On. Today on This Is Audible, best-selling author Delia Ephron introduces us to The Girl with the Mermaid Hair in a story of vanity and acceptance. Then, astrophysicist Neil deGrasse Tyson makes the case against Pluto with his book, The Pluto Files: The Rise and Fall of America's Favorite Planet. Today on This Is Audible, Julia Hoban introduces us to Willow, in a story of grief and grace. Next, Maggie Linton talks with best-selling author James Grippando about his timely latest best seller, Money to Burn. And Joshua Ferris describes how he came to write about a family struggling against a mysterious illness in The Unnamed. Today Michelle Moran is here to talk about her latest trip in the time machine - this time to Cleopatra and Anthony, and their children. Her latest book is Cleopatra's Daughter. Today we'll travel to lands of mystery and imagination, some are unreal and some just seem that way. Jake Adelstein was the only American to ever work the crime beat on Tokyo's biggest newspaper. He lived - barely - to tell the tale in Tokyo Vice. Today we'll meet P. C. and Kristin Cast, a mother and daughter writing team who are the creators of the bestselling House of Night series, the latest is Book 6, Tempted. 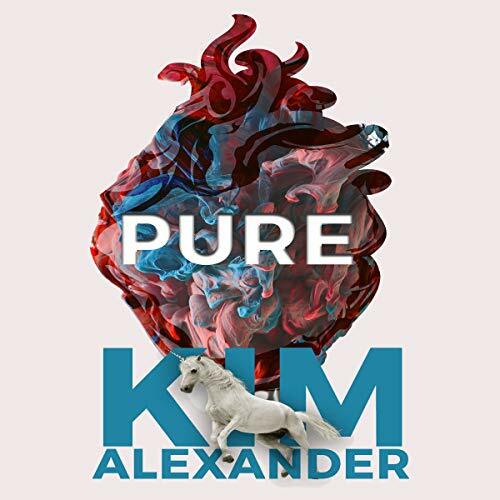 Today we’ll fight the forces of evil with the take-no-prisoners representatives of Carrie Mae Cosmetics as Kim Alexander talks with Bethany Maines about her new caper novel, Bulletproof Mascara. Then, Maggie Linton sits down with bestselling author Anne Lamott to discuss the real life forces trying to influence teens and how that turned into her new novel, Imperfect Birds. The Story of Edgar Sawtelle, the debut novel by David Wroblewski, is a lyrical journey into the untamed heart of a boy and his dogs. Next, February is Black History Month, and Maggie Linton talks with actor/activist Alfre Woodard about directing a project close to her heart, Nelson Mandela's Favorite African Folk Tales.